Swami Vivekananda was a Hindu monk and direct disciple of Sri Ramakrishna. Vivekananda played a key role in the introduction of Indian yoga and Vedanta philosophy in the West. 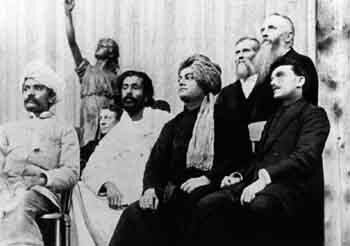 He made a strong impression at the inaugural World Parliament of Religions in Chicago, 1893 – giving a powerful speech on the underlying unity of world religions. He taught a philosophy of traditional meditation and also selfless service (karma yoga). He advocated emancipation for Indian women and an end to the worst excess of the caste system. He is considered an important figurehead of India’s growing self-confidence and later nationalist leaders often said they were inspired by his teachings and personality. Swami Vivekananda was born Narendra Nath Datta on 12th January 1863 in Calcutta, Bengal, India. As a child, the young Narendra had boundless energy, and he was fascinated with many aspects of life – especially wandering ascetics. He received a Western education at the Ishwar Chandra Vidyasagar’s Metropolitan Institution. He became well versed in Western and Eastern philosophy. His teachers remarked he had a prodigious memory and tremendous intellectual capacity. Shaped by his father’s rationality, Narendra joined the Brahmo Samaj – a modern Hindu organisation, led by Keshab Chandra Sen, which rejected idol worship. In 1881, Narendra went to Dakshineswar with a friend to meet Sri Ramakrishna – who was widely considered a great saint and spiritual Master. Narendra felt attracted to the magnetic personality of Sri Ramakrishna and became a regular visitor. At first, his mind could not accept the ways and teachings of Sri Ramakrishna. Ramakrishna followed a simple ‘bhakti’ (devotional) path and he was particularly devoted to Mother Kali (the Divine Mother). But, over time, Narendra’s spiritual experiences in the presence of Ramakrishna caused him to wholeheartedly accept Ramakrishna as his Guru, and he gave up the Brahmo Samaj. In 1884, Narendra’s father died, leaving the family bankrupt. Narendra became responsible for trying to feed his family, with limited means. He later said he would often go hungry as he could not afford enough food. To the annoyance of his mother, Narendra was often too absorbed in his spiritual disciplines to make earning money a priority. “Many times I have been in the jaws of death, starving, footsore, and weary; for days and days I had no food, and often could walk no further; I would sink down under a tree, and life would seem to be ebbing away. I could not speak, I could scarcely think, but at last the mind reverted to the idea: “I have no fear nor death; never was I born, never did I die; I never hunger or thirst. I am It! I am It! He began accepting disciples, and in 1893, accepted an invitation to speak at the World Parliament of Religions in Chicago. He set sail from Bombay in May, sailing first to Japan and then on to the United States. He set sail with little money and few contacts. 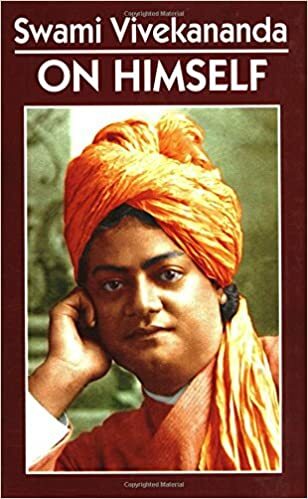 But, helped by Professor John Wright of Harvard University and others, Vivekananda arrived in Chicago as a representative of the Hindu religion. On September 11th, 1893, Vivekananda gave a short speech on the opening day of the conference. After getting up on the stage, Vivekananda bowed to Saraswati (the goddess of learning), then Vivekananda began with the greeting “Sisters and Brothers of America!” – Something in Vivekananda’s address and persona, caused the crowd of seven thousand to stand in ovation for two minutes before he continued his speech. A dominant theme of Vivekananda’s speeches was the universality and harmony of the world religions. The press covering the event frequently stated that Vivekananda was the star performer – captivating the audience with his personality and powerful speeches. 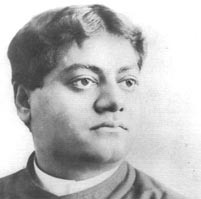 Vivekananda spent two years giving speeches in American and accepting disciples to follow his Vedanta philosophy. 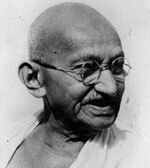 In 1894, he founded the Vedanta Society of New York. In 1895, he travelled to England, where he met Professor Max Muller of Oxford University, and also Margaret Noble (later Sister Nivedita) who would become one of Vivekananda’s closest disciples. From the US, Vivekananda began an increasing correspondence with his brother disciples of Sri Ramakrishna. He exhorted his fellow sannyasins to throw themselves into social service, helping the poorest to gain an education. This dynamism was a new strand to Indian spirituality – and a break from the older tradition of retreating from the world. Vivekananda wanted his mission to help the world both materially and spiritually. In 1897, he returned to India to a rapturous welcome. News of his success in the West was greeted with joy and pride in India. Vivekananda was now a well-known figure. Vivekananda spoke passionately about India’s immense spiritual heritage, and also, at the same time, criticised the degeneration of India’s status, due to the caste system, lack of education, subjugation of women and old failed traditions. Vivekananda was a clarion call for India to make progress. Vivekananda created an emerging sense of national pride and national fervour; he was an influential figure in the Indian Renaissance of the late Nineteenth Century. Later Indian leaders, like Netaji, Gandhi, Pal and Tilak would all pay tribute to the inspiration of Vivekananda. In 1899, Vivekananda returned for another visit to America to continue spreading Vedanta societies. Vivekananda then returned to India and, after failing health, passed away on 4 July 1902. Citation: Pettinger, Tejvan. 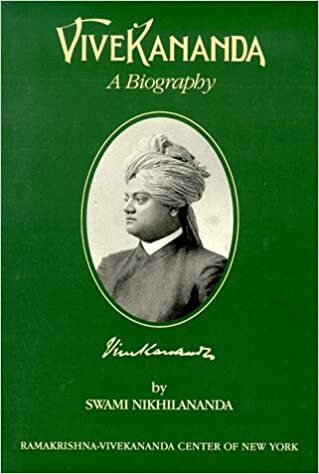 “Biography of Swami Vivekananda”, Oxford, UK – www.biographyonline.net. Last updated 12th Nov 2017. 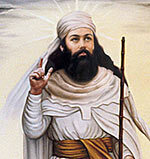 Famous Religious leaders and founders – Key people who helped to found different religions and spiritual movements. In recent times in India, it was Swami Vivekananda alone who preached a great message which is not tied to any do’s and dont’s. Addressing one and all in the nation, he said: In every one of you there is the power of Brahmn (God); the God in the poor desires you to serve Him. This message has roused the heart of the youths in a pervasive way. That is why his message has borne fruit in the service of the nation in diverse ways and in diverse forms of renunciation. His message has, at one end at the same time, imparted dignity and respect to man along with energy and power. thanks for sharing this beautyfull article. Spiritual torch of Humankind. Vivekananda’s teachings had awesome mix of philosophy & Science. Nice post.